Effective drainage and sewage treatment is a requirement of any build, for effective sanitary facilities that meet environmental health standards and to protect your building from structural water damage. 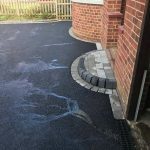 Reading Asphalt can ensure this essential work is carried out to a high standard before commencing with your project. We can also offer post-flooding drainage services to bring water levels down. 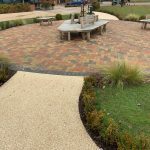 Our work adheres to the British standard and is guaranteed between 2 and 5 years. Furthermore all our work is covered up to tune of £10,000,000. Ground excavations can cause water to fill the remaining void, requiring drainage before construction can take place. 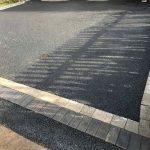 Also, where a subterranean structure or retaining walls are surrounded by water in the ground, unnecessary pressure can build up with the potential to cause damage. By introducing land drains into the ground, excavations can be drained and pressure alleviated on structures and walls. All sewage produced by your home or business must be treated to the standards expected by environmental legislation. You must also ensure that the treatment will continue to work when the household is at full capacity. 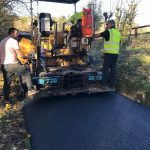 Over the years, Reading Asphalt has diversified and trained in the knowledge of drainage systems including soakaways for excess water, land drains, irrigation systems and emergency drainage in the case of flooding. We also employ specialists in the design, installation and removal of septic tanks to provide efficient waste separation and treatment. Once solids and liquids are separated, the effluent is treated and water exits through soakaway into the soil. 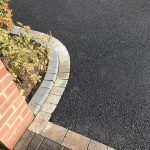 Trading for more than three decades, Reading Asphalt are specialists in surfacing and groundworks committed to providing a high quality of work and personal service. 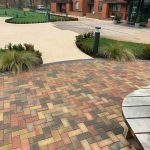 We believe that asking contractors to complete all works to exacting standards and at a fair price isn’t a tall order, it’s something you should expect. Our family run business believes in these back-to-basics values of honesty, affordability and durability to keep our customers satisfied and to maintain a reputation of excellence we have worked hard to achieve. 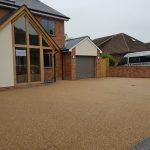 Based in Berkshire we accept one-off and contract work throughout the county, but also invite work from neighbouring counties including Hampshire and Buckinghamshire. 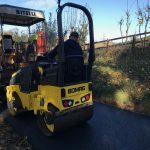 Both domestic, commercial and industrial clients are welcome to do business with us and we will be happy to discuss your project with you in-depth.